Register now and use now! Start the groupware free of charge! Regardless of the number of years you may use it or the number of people that use it, even 100 or 1,000, it’s totally free. If you are considering the replacement of existing groupware or want to introduce groupware, try the free R-GROUP. R-GROUP surpasses paid products from other companies. Register now and try it for one month. The smartphone version is included in R-GROUP as standard! Use it both on a smartphone and a PC without any additional cost. If you want to use the groupware on a smartphone, simply download the application. Even on the date of new registration, use the smartphone version. Use it via PC in the company and via smartphone outside the company, virtually anywhere, according to business style. Use not only the PC version but also the smartphone version. R-GROUP is a cloud-based service. It does not occupy hardware space on your PC, like other dedicated tools. Use it on the desktop and laptop PCs or smartphones. As no installation is required, use it when needed from outside the company or on the PC you use for the first time. You can use it immediately after registration. Try it now. We have provided the cloud-based groupware R-GROUP as a venture company. We also have released R-GROUP in 20 countries covering Asia, Europe, and America, aiming at allowing businesses in the world to use it instantly for free. The cloud-based groupware R-GROUP was originally designed in 2006 and released in 2010 by Syoki Fujiwara, R-group founder, its basic system was elaborated at Harvard University in 2012, and then its development was conducted in Tokyo and Silicon Valley. 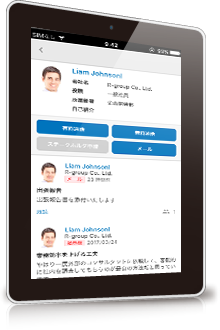 Today, R-GROUP has been adopted in more than 2,000 companies in Japan and unveiled to the world in May 2013 including multilanguage support. To be innovative, we will make continuous efforts to establish a global standard with our R-GROUP. We would appreciate your sincere cooperation and help. iPhone application now supports iOS 9.0. The number of corporate users of the free business SNS R-GROUP has finally reached 10,000 in the world. iPhone application now supports iOS 8.0. 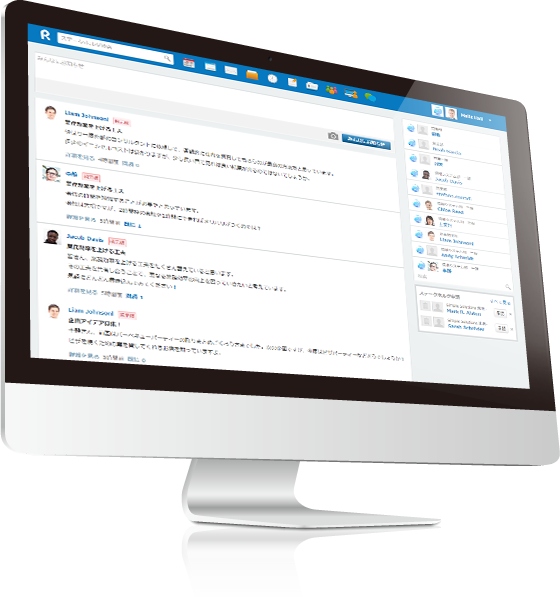 The number of corporate users of the free business SNS R-GROUP has exceeded 5,000 globally. The number of corporate users of the free business SNS R-GROUP that connects the world has exceeded 3,000. New [Chat] function was added. Free business SNS that connects the world starts supporting Russian.